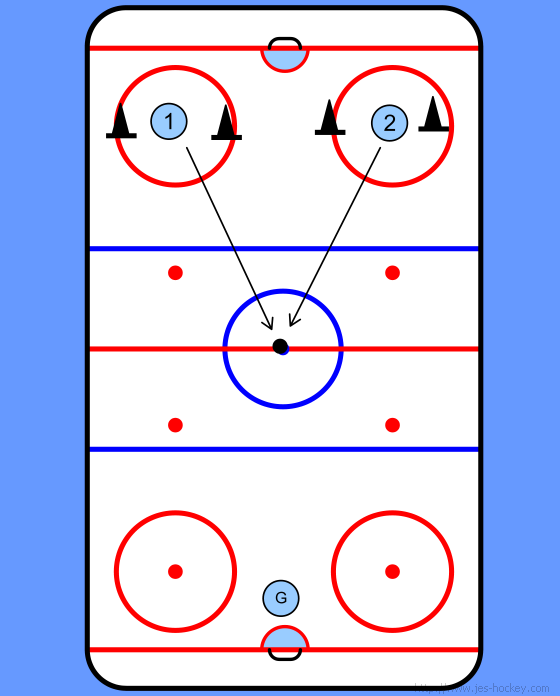 Both forwards & defenders will benefit from this drill. During game play, forwards need to keep moving to lose their markers, whilst defenders need to keep up with opposing forwards. 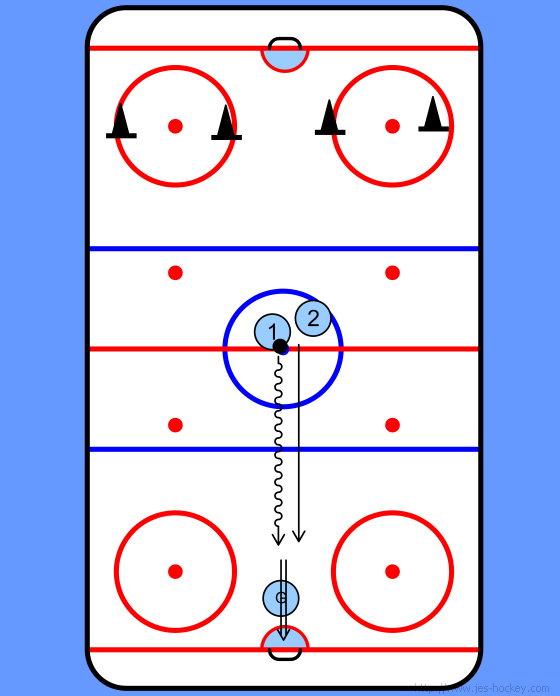 This drill encourages players to keep on the move at all times & be ready for the quick breakout or backcheck. 1 player from each side circles the cones in a figure 8. On whistle, both players race for the puck at centre ice. The first player to the puck skates at goal. The other player takes on the role of backchecker. 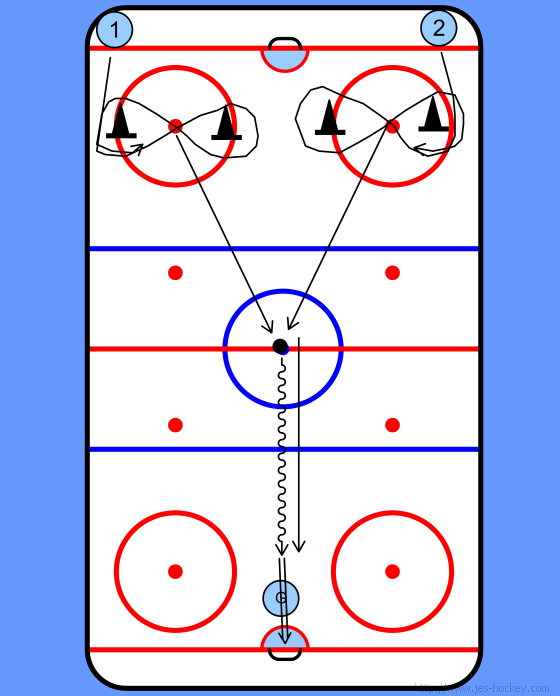 It's important that the coach varies the timing of the whistle so that the players can't anticipate it.